Enjoy outdoors with safety for you skin! Updated for latest version of iOS. Watch app removed temporarily for rewrite. More fun integrations coming soon! A vital part of care for your skin is protection from harmful UV rays. 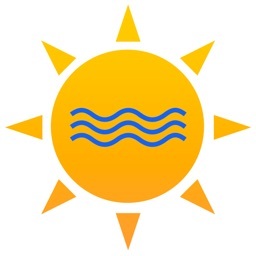 Extended exposure to the sun and its harmful UV rays can cause skin damage. 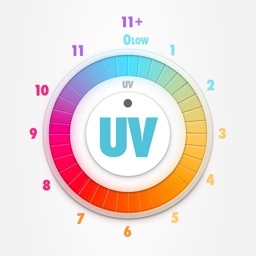 The UV Index is an international standard measurement of how strong the ultraviolet (UV) radiation from the sun is at a particular place on a particular day. 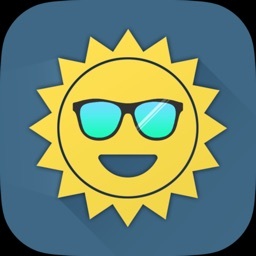 This app is designed to give you the UV Index forecast for your current location in the United States or for any other selected city in the United States. 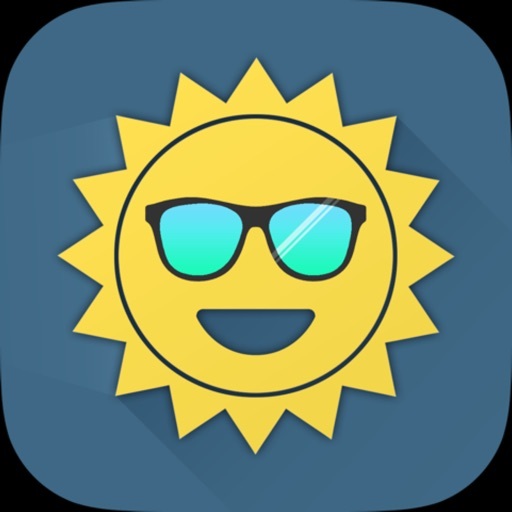 On iPhone and iPad, tapping the UV index will provide you additional information on how to protect your skin for the current UV forecast. 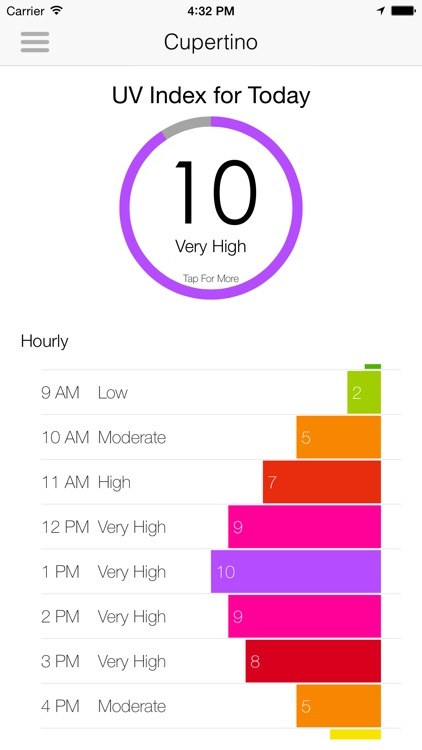 Use the hourly index to know when the strength of the UV rays will be the strongest. Supports Apple Watch with information on your current location. 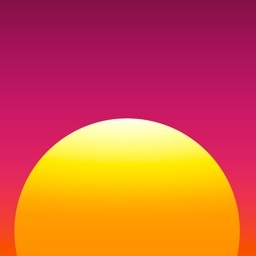 Planning to go to the beach, swim, work, or just go outside? 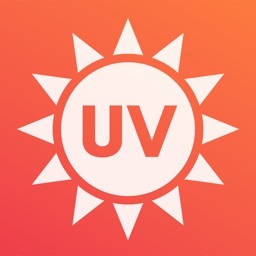 Quickly check the UV Index before going outside to determine the amount of protection (clothing and/or sunscreen) to wear before leaving. 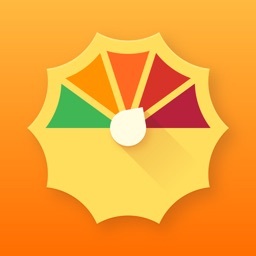 Fast, easy, and accurate UV Today gives you the UV Index for your location or any location in the US you specify. 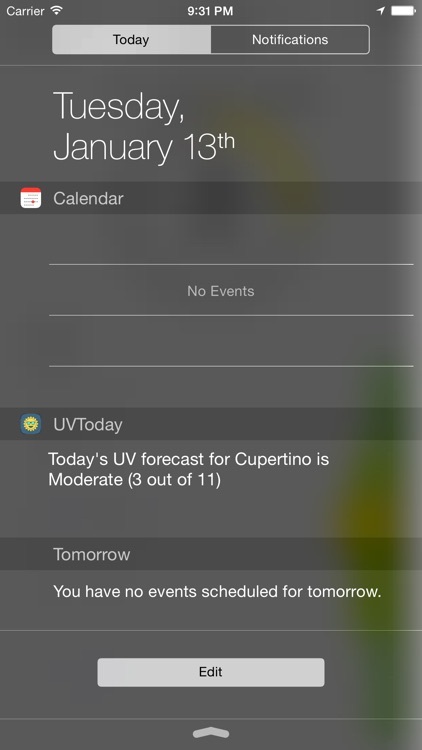 After the forecast has been determined, a UV level, exposure category, and exposure description is given. 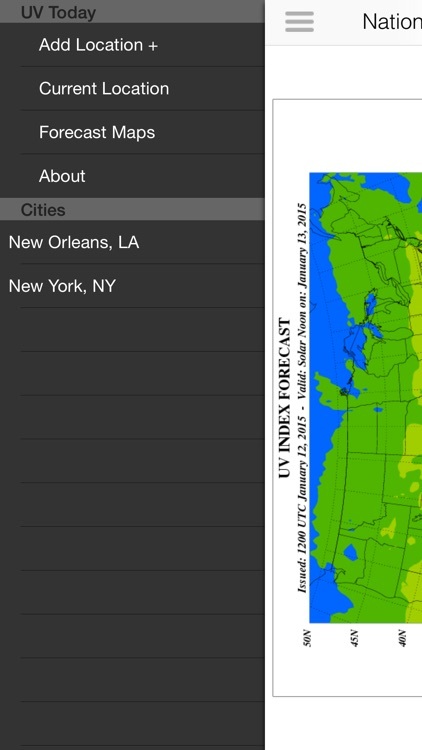 Four day forecast maps for the United States can also be viewed.